So, you've decided to launch a website! Congratulations - now all you need to do is figure out how to successfully get it all up and running. Many people assume that launching a website is as simple as deciding what they want their site to be about and paying a graphic designer to bring their ideas to life. However, there's a lot more to websites than you might think, and one of the most important choices you'll need to make, is how you're going to host your website. 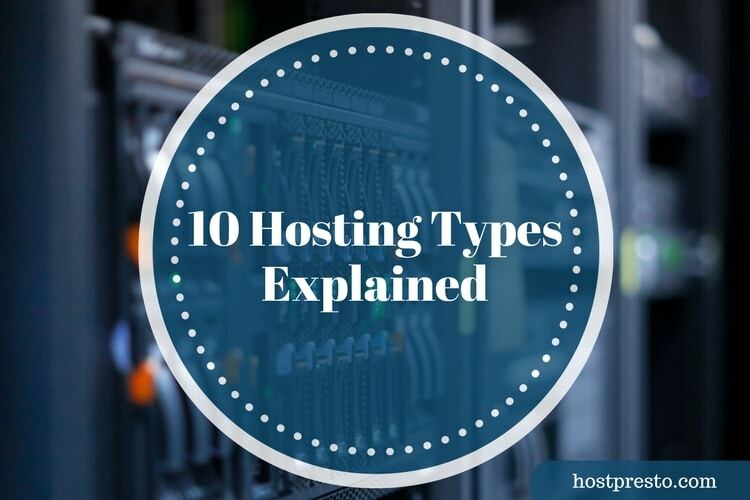 If you've been looking into hosting options and you're a little overwhelmed by all of your choices, don't panic - you're not alone. 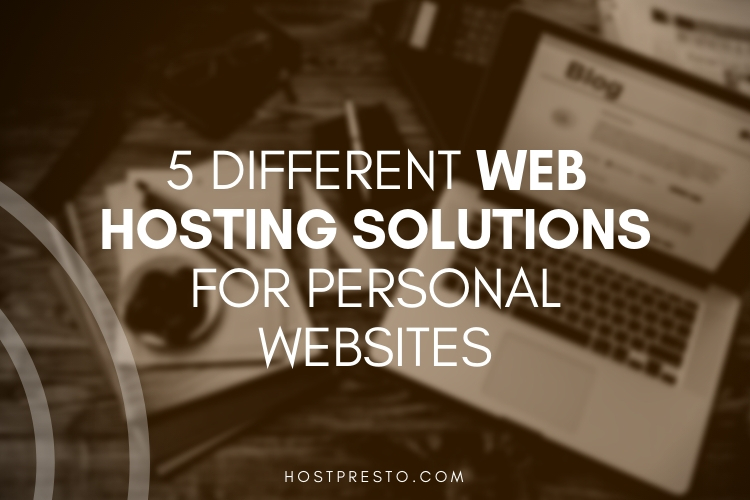 Here, we're going to look at five of the most popular web hosting solutions for personal websites. Shared web hosting is easily the most popular and cost-effective option for people who simply want to create a personal blog or website. With a shared hosting environment, you simply share the same server as other website. The advantage is that you're also sharing the cost of that server with various other people, so you don't have to worry about overspending. The biggest issue with a shared hosting account is that you'll generally be at the mercy of other companies on your server. A site that starts earning a significant amount of traffic on the same server as you could begin to steal some of your resources or make your pages run slower. Most people will start off with shared web hosting. A reseller web hosting package is essentially a shared hosting account that comes packed with additional tools to help you resell the hosting space you're using if you want to. Reseller packages come with a lot more technical control than you would expect with a shared hosting account, typically offered through the Web Host Manager control panel. Because reseller web hosting is designed to help you turn your personal website into more of a business, it also comes with solutions like billing software you can use to invoice clients and other perks like free website templates and additional support. If you're planning on selling hosting space, then this is clearly the option for you. If not, it's best to just stick with a standard shared hosting account. If you really want to upgrade the amount of control you have over your hosting, but you don't want to spend too much straight away, then you could always consider using a Virtual Private Server, or VPS. A Virtual Private Server shares a physical server with other companies, but the system you get will act like a separate, distinct server. 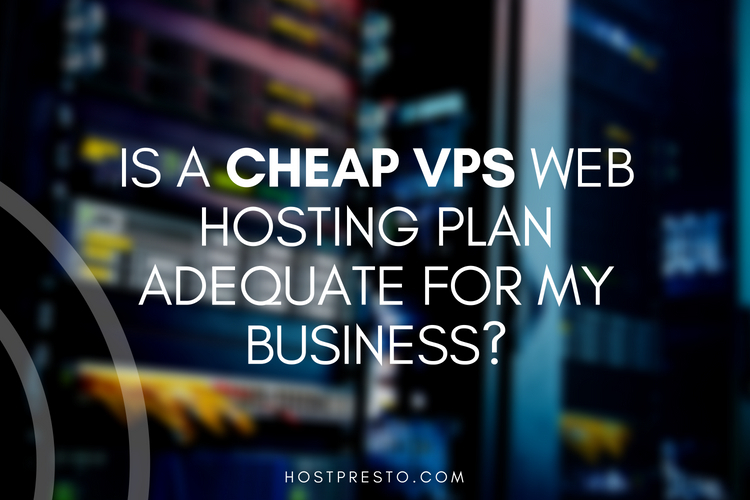 A VPS is generally seen as the bridge between having your own dedicated machine and using shared hosting. Although each VPS instance shares the same hardware resources, everyone gets a specific amount of computing resources. This can mean that you're less likely to have a problem with someone else stealing your bandwidth - which can be an issue on shared servers. Dedicated web servers are probably the biggest and most enhanced hosting options you can choose for your personal website. The chances are that you won't need anywhere need this kind of resiliency and power if you're just running a standard blog. However, if you find that you start to earn a serious amount of traffic on your website, or you want to start selling products and you need a lot of space, then a dedicated server could be right for you. With a dedicated server, you rent a single physical server form a hosting company, and you have complete control over it. With dedicated servers, there is no need to worry about the other websites on a server taking up resources and slowing you down. Additionally, a dedicated server will come with complete back-end control for you to make changes however you like to your hosting experience. Finally, as WordPress becomes increasingly popular as a website building platform, many hosting servers today are beginning to offer a new solution known as "Managed WordPress Hosting." This hosting is a service where the web hosting provider keeps your installation fully up-to-date on your behalf and protects you from any security threats that you might be worried about. Managed WordPress hosting isn't quite as inexpensive as a shared hosting server, but it's a good option for established and start-up businesses all the same, particularly if you use the WordPress platform.